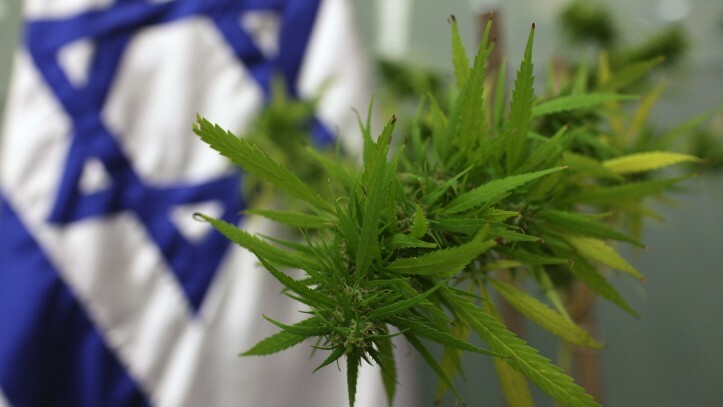 Already a pioneer in high-tech and cutting-edge agriculture, Israel is starting to attract American companies looking to bring medical marijuana know-how to a booming market back home. Since 2014, U.S. firms have invested about $50 million in licensing Israeli medical marijuana patents, cannabis agro-tech startups and firms developing delivery devices such as inhalers, said Saul Kaye, CEO of iCAN, a private cannabis research hub. "I expect it to grow to $100 million in the coming year," Kaye said at iCAN's CannaTech conference in Tel Aviv this month, one of the largest gatherings of medical marijuana experts. Scientists say strict rules, some set by the Drug Enforcement Administration, limit cannabis studies in the United States, where the legal marijuana market is valued at $5.7 billion and expected to grow to $23 billion by 2020. "In the United States it's easier to study heroin than marijuana," said U.S. psychiatrist Suzanne Sisley, who has researched the effects of cannabis as a treatment for American military veterans suffering from Post Traumatic Stress Disorder. "With marijuana you have to go through added layers of government red tape. It highlights the way marijuana research is being shackled by politics," said Sisley, Director of Medicinal Plant Research at Heliospectra. While scientific exploration may be restricted, 23 U.S. states now permit medical cannabis, and recreational use is allowed in four states and Washington D.C. This is despite the fact that at the federal level, marijuana is still classified as a dangerous narcotic with no medicinal value. In Israel, marijuana is an illegal drug and only 23,000 people have Health Ministry permits to purchase medical cannabis from nine licensed suppliers, creating a market of $15 million to $20 million at most. But Israeli authorities are liberal when it comes to research. Growers work with scientific institutions in clinical trials and development of strains that treat a variety of illnesses and disorders. Israeli Health Minister Yakov Litzman, an ultra-Orthodox Jew, supports medical cannabis usage and has introduced steps to ease its prescription and sale. Israel is far from alone in the market, however. Britain's GW Pharmaceuticals is licensed to grow cannabis for medicine and in 2013 opted for a dual listing on Nasdaq, where it raised nearly $500 million from U.S. investors. This month, GW announced its cannabis-based medicine Epidiolex had successfully treated children with a rare form of epilepsy. Its share price doubled as a result. Medical cannabis is developing fast. Patients can smoke marijuana cigarettes, use inhalers, ingest oil extracts or even consume cookies containing marijuana extracts. GW has a multiple sclerosis treatment which is sprayed under the tongue. In a clinic in Tel Aviv, 65-year-old Noa lights a joint. She suffers from fibromyalgia, a chronic pain disorder, and explains how six months of smoking medical cannabis has transformed her life. "I can function again. Most importantly, I'm a grandma, I can roll around on the floor with the kids," she said as she discussed with a nurse what strain would best alleviate her symptoms. The clinic belongs to Tikum Olam, Israel's largest medical marijuana supplier, which partnered this year with a private U.S. investment group to grow medical marijuana in four U.S. states. Tikun Olam is taking part in clinical trials on epilepsy, Crohn's disease, spasticity and tinnitus, said Zvi Bentowich, its chief scientist. Professor Raphael Mechoulam of the Hebrew University in Jerusalem, whose landmark studies in the 1960s paved the way for cannabis research by isolating and synthesizing THC, the main psychoactive ingredient of marijuana, praised the Israeli government's open approach to the research. "Cannabinoid research was and still is viewed positively by government committees," he said, adding that law enforcement was not involved in study approval. Jeffrey Friedland, CEO of private U.S. investment firm Friedland Global Capital, has invested in two agro-tech companies and a pharmaceutical firm in Israel. "Israel is a leader in agriculture, take that and couple it with research - you have the two sides, plant science and pharmaceutical development," Friedland said. "If you're in California or Colorado, you're getting medical marijuana in a lot of cases from someone who did not graduate high-school - there's no science." It was only in October that California drafted its first comprehensive regulations on medical marijuana, two decades after legalization fuelled a grey market in cultivation. Seth Yakatan, CEO of California-based Kalytera Therapeutics, said the level of capital efficiency in Israel was high. "What you would spend half a million dollars on in the U.S. you could easily get for 125 or 150 thousand dollars in Israel and it's going to be done efficiently and on time. The quality of research is world-class and the arbitrage of value is good." A Hebrew University and Tel Aviv University study, findings of which were published in May 2015 in the Journal of Bone and Mineral Research, showed cannabis constituent Cannabidiol, or CBD, helped heal bone fractures in rats.